National Children's Museum in Washington, D.C. The National Children's Museum has signed a lease to open a new location near the National Mall in Washington, D.C. (an opening date will be announced as the information is available) The museum had been searching for a new location since it closed its National Harbor location in January 2015. The museum will feature exhibits and activities geared to young children focusing on the arts, civic engagement, the environment, global citizenship, health and play. The mission of the National Children’s Museum is to inspire children to care about and improve the world. The new facility will feature fun interactive and educational activities. 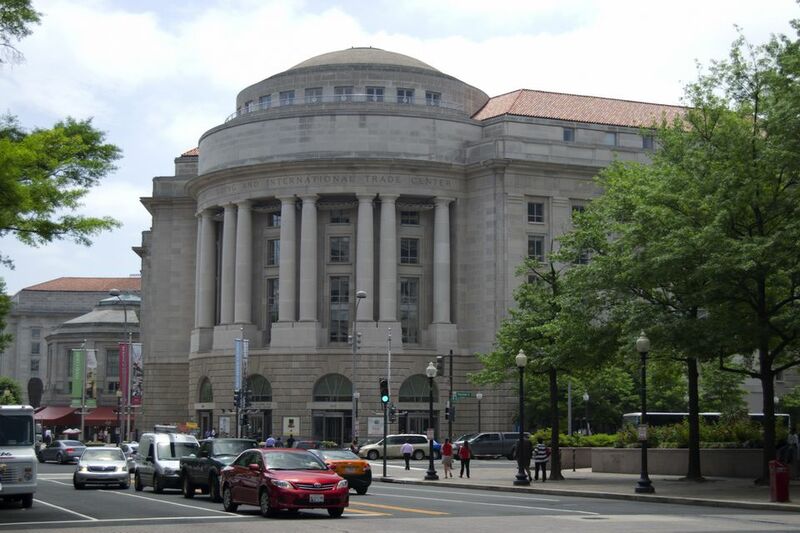 In January 2017, the museum signed a lease for space in the Ronald Reagan Building and International International Trade Center at 13th Street NW and Pennsylvania Avenue NW. Washington, D.C. The new location is close to the National Mall and the Federal Triangle Metro station. The building fits the museum board's must-have criteria for a new home. This location will provide easy access for both local area residents and visitors from around the world. The building has 2,000 public parking spaces and is one of the most affordable parking garages in the city. There is also a large food court on-site which will provide ideal dining options for families. The National Children's Museum has a long history in the capital region and has been working for years to raise the funds necessary to establish a full-scale museum in a convenient location. The D.C. Council issued a $1 million D.C. Commission of Arts and Humanities grant to help fund the design of the new museum space. Currently open at various locations in Washington DC. While the museum is planning its new venue, it has displays at the District of Columbia Public Libraries. The exhibits are geared to children ages eight and younger to showcase how people around the world eat, dress, work and live. Educational displays and interactive elements include puzzles, games, and activities, as well as costumes, artifacts and other props for play. Founded as the Capital Children’s Museum in 1974, the museum served local families for 30 years in northeast Washington DC. The museum moved to a former convent building on H Street in 1979, where it remained until 2004 when it closed. That year, it began operating as a "museum without walls," serving the region through community and school outreach programs, traveling exhibits and partnerships with other organizations. In 2012, the museum opened at National Harbor in Prince George's County, Maryland. Plans to expand were limited by the location, and the lack of subway access was problematic for the museum's mission to serve all D.C. area children. The museum's board of directors voted to close the Prince George's location in 2015. The plan was to find a new facility in Washington D.C., near a Metro station, preferably with at least 40,000 square feet available, ideally near the Washington Mall. In 2015, the museum moved exhibits to several locations of the D.C. Public Library. In January 2017, the museum signed a lease with the Ronald Reagan Building and International Trade Center.